Hey there fellow fashionistas! Check out these exciting deals/promotions. Look for purple, red, & green colored dots on our tags for an additional 25%-75% discount! When you spend $10 or more on Tuesdays during the month of May, spin our wheel of fortune to win discounts on your purchase! 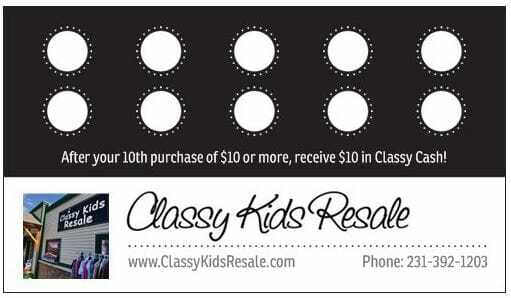 For every $100 you spend, receive $10 in Classy Cash! Be sure to pick up your loyalty card at checkout! Sign up to receive exclusive deals & discounts!